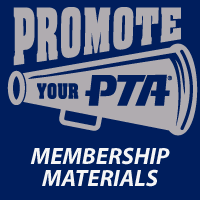 Honorary Service Awards (HSAs) are awarded year round and designed as a unique way for PTA units, councils and districts to publicly acknowledge both individuals and organizations for outstanding community service to children and youth in a community. 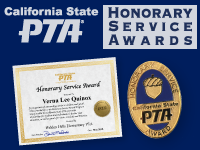 All proceeds from the purchases of the Honorary Services Award are used to fund the California State PTA Scholarship and Grant Program. 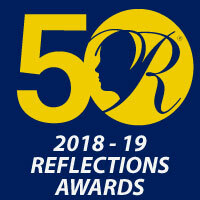 This program provides scholarships for volunteers and educators to continue their education; Scholarships for High School Seniors to continue their education; plus grants to local PTAs to advance goals in areas related to outreach in translation, cultural arts, parent education and healthy lifestyle.